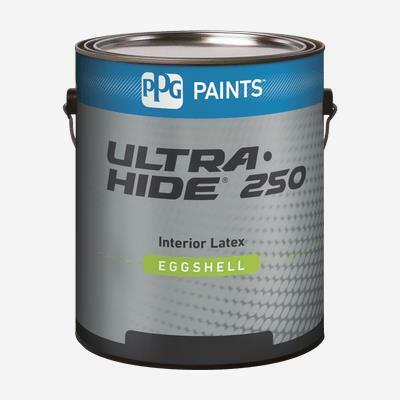 ULTRA-HIDE® 250 Interior Latex delivers excellent touch-up and great hiding interior paint to meet the requirements of professional applicators. This low-VOC, low-odor paint enables interior walls, ceilings and trim to be painted while occupied, delivering the durable product performance required. ULTRA-HIDE® 250 Interior Latex paint is recommended for all commercial and maintenance applications where a uniform finish is desirable.